WELCOME HOME!!! STYLISH AND SERENE!!! THIS LAKE VIEW 3 BEDROOM, 2.5 BATH, 1700 S/F TOWNHOME WILL NOT DISAPPOINT THE MOST DISCERNING BUYER!!! THIS HOME OFFERS RICH HARDWOOD FLOORING THROUGHOUT, 42 DARK WOOD CABINETS, GRANITE COUNTERTOPS, GLASS BACKSPLASH, STAINLESS STEEL APPLIANCES, RECESSED LIGHTING, KITCHEN WITH EATING AREA, A WALK IN CLOSET PANTRY, BREAKFAST BAR, SPACIOUS LIVING ROOM WITH SERENE VIEWS OF THE LAKE, HALF BATH ON THE MAIN FLOOR, PORCELAIN TILE IN THE BATHS WITH MARBLE COUNTERS, GUEST BATH WITH SKYLIGHT, A SPACIOUS MASTER EN SUITE WITH VIEWS OF THE LAKE, GENEROUS WALK IN CLOSET, VOLUME CEILINGS, TWO ADDITIONAL BEDROOMS, WASHER AND DRYER CONVENIENTLY LOCATED ON THE TOP FLOOR FOR EASY LAUNDRY DAYS, TWO CAR GARAGE, IMPACT RESISTANT WINDOWS AND SLIDER, PLANTATION SHUTTERS, ECO-FRIENDLY, ENERGY EFFICIENT, WATER SOFTENER AND DOES NOT REQUIRE FLOOD INSURANCE! THIS HOME IS AN END UNIT WITH SIDE ENTRANCE. QUALITY BUILT IN 2011 WITH UPGRADES GALORE!!! 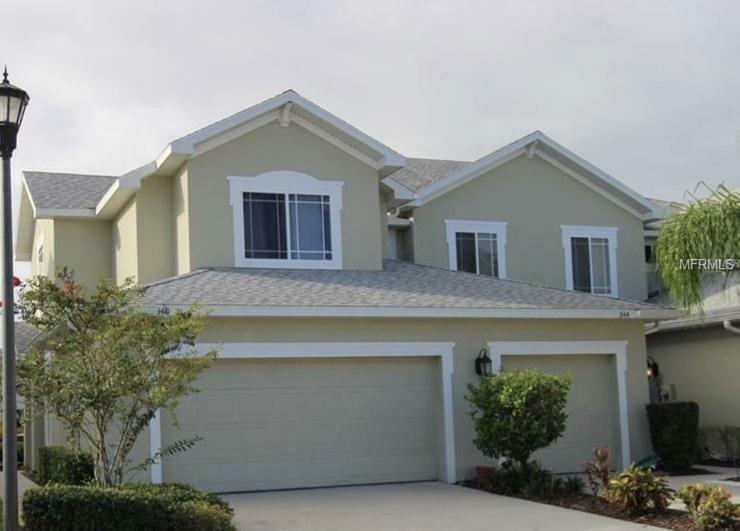 HARBOR RIDGE IS A PET FRIENDLY QUIET COMMUNITY THAT OFFERS A COMMUNITY POOL, TASTEFUL LANDSCAPING AND IS CONVENIENTLY LOCATED WITHIN MILES OF THE GULF BEACHES, SHOPPING, RESTAURANTS, BUSINESSES, TARPON SPRINGS SPONGE DOCKS, PALM HARBOR, DUNEDIN AND THE PINELLAS TRAIL. DOES IT GET ANY BETTER? Additional Lease Restrictions Per The Homeowners Association Rules And Regulations. Pet Restrictions Per Homeowners Associations Rules And Regulations..